We've been married for two years today; a small drop in the ocean for some people (my grandparents are celebrating 60 years in June...) but a little achievement nonetheless. This last year has been a pretty big one for us, as far as years go; we bought our first house together and (mostly) renovated it into a home. 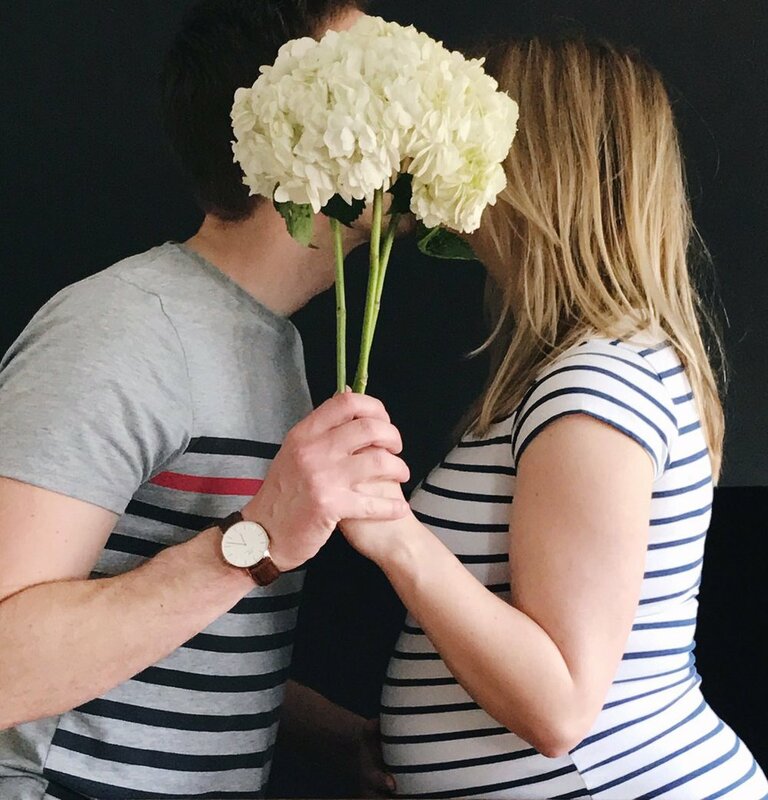 We decided to try and become parents, and were lucky enough that I fell pregnant pretty soon after (although I know my recent moaning on the subject has not convinced you that I feel lucky...). We hosted Friendsgiving and Christmas at our new home, and moved my sister into University. I believe more strongly every day that it takes a village; not just to raise a child, as the saying usually goes, but to sustain any sort of relationship. I love Paul and he's my favourite human, but without our friends and family around us - providing love, support and DIY help, it just wouldn't be the same. I think that's part of the reason why you have a wedding in the first place, to acknowledge that a marriage is that much sweeter when it connects with all of your other relationships. Last year, I wrote that I worried that there were trying times ahead - that I couldn't continue on being blissfully happy. I was right. Being pregnant and preparing for a baby has been more difficult than I could have anticipated; perhaps because so little in my life has been difficult before (and what a privileged position to be in). As always, Paul has stepped up to the mark to help and support me; from insisting I nap on evenings and weekends, to picking up even more than his share of the housework than he did before, to coming with me to my dreaded blood tests (of which I have another today...). If I believed in karma, I would think that I had done something positively angelic in my previous life. But for all that, marriage continues to be one of the greatest joys of my life. It is not for everyone, I'll grant you, but for me it has exceeded all of my expectations. To be a team with someone everyday is a magical thing indeed, and I'm excited for us to face the challenge of actual parenthood together in the next year (hopefully sooner rather than later - if he holds out until 42 weeks, I'll be most unimpressed...) with our newest little team member.